There are going to be 2 different types of Secondary insurance for Medicare. The two different types are an Advantage plan, and a Supplement plan. They are two totally different types of insurance. But let’s talk about what the difference is between these. An Advantage plan is going to be one of the secondary insurance plans for Medicare. Now depending on what insurance company you go with will decide on how good of coverage you get for this type of plan. With Advantage plans you will be in a network with your doctor, so you will have to make sure your doctor is in the network before you buy the plan. With this type of plan you might pay less for the plan itself but in the long run you might have a high deductible, and/or a maximum out-of-pocket cost. And I have seen them go up to $6700 a year. So before you buy a plan like this make sure you are looking into every detail of it. Because another thing about this type of plan is that you can only get this type of plan one time out of the year. Once you are enrolled in the plan you can not get out of it until the Annual Enrollment period in October. Now of course there are a few ways that you can switch during the year. But if you want more information on that you can give me a call directly at 901-KORTNI8. Medicare supplement plans are going to be a lot different than the Advantage plans. If you were to get a Supplement plan as your secondary insurance for Medicare then you have to look only at a few things. The cost is going to be more than the Advantage plans and let me tell you why. There is a Medicare Supplement plan out there right now that will cover you 100% after Medicare. Now you will pay more for this plan but you will be covered. With Medicare Supplement plans you are not in a network for you doctors. As long as your doctor accepts Medicare then they have to accept your Medicare Supplement plan. These plans are standardized. That means that it doesn’t matter what insurance company you go with the plan benefits will stay the same. So what you will want to do is find out what insurance company is offering the best rate for each plan. And find out what plan best fits your situation. If you are ready to get signed up for your Secondary Insurance for Medicare then you can give me a call here at 1-800-Medigap, or you can reach me directly at 901-KORTNI8. I am a licensed broker and I can see multiple companies and what each of them offer for these plans. The most popular Medicare Supplement plans in the Medicare field would have to be plan F, G and N. These plans are all different but they are the most popular plans out there. Now be low I will tell you all the differences between all the plans and why they are the most popular ones. Now with these Medicare Supplement plans you can go to any doctor you want as long as the doctor accept Medicare. You don’t have to worry about if your doctor is going to cover you or if the doctor is in your network. Because with these plans your not in a network. Now Medicare Supplement plan F is going to be the best plan that you can get. It is going to cover you 100%. With this plan you will have no out-of-pocket expenses except for your monthly premium. You will not be responsible for Copayments, Coinsurance, or deductible’s. Now the Plan F is going to be a plan for someone who has a few health conditions but nothing too major, because I’m sure most of you know the Medicare Supplement plans are medically underwritten. This is going to be the most expenses plan there is in most cases. With Medicare Supplement plan G there is a slight difference between this and plan F. The only difference is that with Medicare Supplement plan G you will be responsible for the Part B deductible and the monthly premium. There are no Copayments, or Coinsurance expenses. With the Plan G this plan is going to be for someone who may have a couple of health conditions but not enough to really have to be paying a lot of out pocket for it. This will be the best priced plan that there is. This plan can save you more sometimes rather than going with the plan F even though you have the Part B deductible. Now with Medicare Supplement plan N there are going to be some more differences between them. Starting with the deductible you will be responsible for the part B deductible just like plan G. Also with this plan depending on what state you live in you could be responsible for the Part B Excess charges. What that means is that by law your doctor can charge you 15% more of the Medicare-Approved charges. 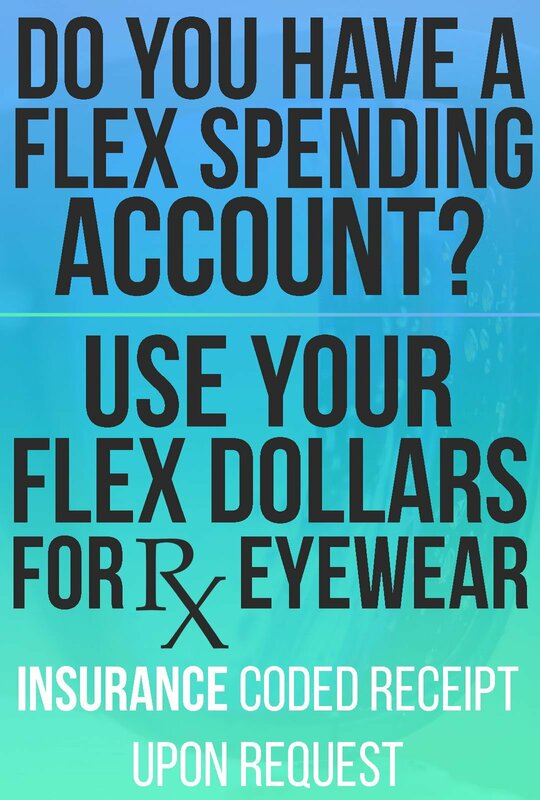 With this plan N you could have up to a $20 copay at some doctors visits, and a $50 copay at the ER if you do NOT get admitted into the hospital. This plan N is going to be for someone who either can’t afford a better plan or they just don’t go to the doctor a whole lot but want to be safe just in case. What I like to tell all of my clients is that if you can somehow afford to get a Medicare Supplement plan then I would. Because we never know what the future holds for us. Something could come up any day without any notice. You wouldn’t want to be the person who ends up having cancer and then try to get on a Medicare Supplement plan and get declined do you? So I would advise everyone that your health matters take care of yourself and get good insurance to cover you just in case something comes up! YOU NEVER KNOW! 1. Some Medicare Advantage plans are better than others. Medicare Advantage plans are evaluated based on criteria such as customer satisfaction and quality of care. Plans receive between one and five stars, depending on their scores. Five-star plans have the highest scores, and you can switch into a five-star plan most of the year—not just during open enrollment. Learn how the plans in your area rank here . 2. You will probably need Medigap insurance. You can rack up some hefty out-of-pocket costs with the deductibles and copayments required under original Medicare. For instance, a 10-day hospital stay could cost you more than $12,000. A supplemental insurance policy, called Medigap, helps pay for the unpaid balance of Medicare charges. These secondary insurance polices only reimburses for charges that Medicare (the primary coverage) approved, including deductibles, copayments and coinsurance. However, you can’t use a Medigap plan to pay for Medicare Advantage plan costs. 3. You should check to see whether your drugs are covered. All prescription drug plans and Medicare Advantage plans have drug formularies, which list the medications they cover. The drugs are sorted into tiers based on their cost and effectiveness. The higher the tier, the higher your copayment. To learn whether your medication is covered—and how much it will cost—contact your prescription drug plan or Medicare Advantage company. Many plans post their formularies online. 4. You have protections and rights under Medicare. These include the right to be treated with dignity and respect at all times, to be protected from discrimination, and to have your personal and health information kept private. You can also get emergency care when and where you need it, appeal payment or coverage decisions, and file complaints if you’re unhappy with the care you receive. 5. Medicare doesn’t cover long-term care. 70% of us will need long-term care at some point. This includes help with daily activities, like bathing and cooking, as well as some medical care. Neither Medicare nor most health insurance plans, including Medigap, cover this type of care. If you’re worried about costs, check into long-term care insurance. Most people who can’t afford long-term care eventually qualify for Medicaid, government health insurance for the poor. Anthem Medicare Supplemental Insurance is no different from any other insurance companies when it comes to the Medicare Supplement plans. With Anthem Insurance they only cover certain states. You can see the states that are covered here: California, Colorado, Connecticut, Georgia, Indiana, Kentucky, Maine, Missouri, New, Hampshire, Nevada, New York, Ohio, Virginia, Wisconsin. With Medicare Supplement plans it doesn’t matter what insurance company you go with, the plan benefits will stay the same. The only thing that can change is the price of the plans. So what you will want to do is look into who is offering the cheapest rate for their plans. If you have any questions please feel free to give me a call here at 1-800-Medigap/1-800-633-4427 or you can reach me directly at 901-KORTNI8. I am a Licensed Broker, which means I can look at multiple companies to see who is offering the cheapest rates for these plans. Your red, white, and blue Medicare card is proof that you are enrolled in Original Medicare. It is the most important piece of identification you own as a Medicare beneficiary, and you will generally need your Medicare card in order to receive Medicare-covered services. Needing to replace your card? There are a few reasons someone might need or want to replace their card. Reasons to get a new medicare card. If your card is lost, stolen, or damaged you will need to get a replacement card. If you have changed your address just before your card’s expiry you’ll need to request a replacement card.Medicare will send you a new Medicare card before your card expires. your new card will be sent a month before the old one expires. If your card expired more than 6 months ago, you will need to visit your local service centre to request a replacement card. You’ll need to provide identity documents, such as your drivers licence, and you may need to confirm your residency with a document such as your utility bill, rental agreement or employment contract. you can replace it by calling the National Social Security Hotline at 800-772-1213. You can also apply for a new card online or go to your local Social Security office. Do you have more questions about Medicare or Medigap plans? Give me a call at (475) 88CARLY / (475) 882-2759. Saying there is a lot to learn about Medigap Insurance is an understatement, but there is help, and we are here to do so. There are ten standardized plans by the government when it comes to choosing a Medigap plan. They are named by a single letter. One of the greatest parts about Medigap plans is that they don’t work in an HMO or PPO network. A doctor or hospital that accept your Medicare card by law then must take your Medigap Plan as well. There are three plans that I would consider as the top plans. They are as follow F, G, and N. With all Medigap insurance plans, you have to go through medical underwriting. Unless you have just started Medicare or taken Part B for the first time you are in your Open Enrollment time. If you are being dropped by an Employer/Group plan or you have moved out of your advantage plan network.Then you are Guaranteed Issue. That means you would not have to go through medical underwriting. To start, I will go over the Plan F and what it covers. Now this plan is what I would consider as the “Cadillac Plan” if you will. Other than passing underwriting to get this plan all you will have is a monthly premium. After that, this Medigap plan will cover you 100% of all the procedures approved by medicare. That will cover all of your doctor visits and all hospital visits. The next Supplement plan is known as the Plan G. This plan is very similar to the plan F, the only difference is a once yearly Part B deductible. You will still have a monthly premium, but once you meet your deductible and pay your premium you are 100% covered for any medical treatment that is approved by medicare. Lastly, the plan that I would recommend is a Medigap plan N. This plan is somewhat different than the other plans I have talked about because this plan does have copayments and leaves you open to a few out of pocket expenses. Although, this type of plan can be exactly what you are looking for. This Medigap insurance plan covers your doctor and hospital visits except for up to a $20 copayment for some of your doctor visits and up to a $50 copayment to a hospital. Unless you are admitted as an inpatient into the hospital. Where when this happens you will be completely covered. There is one more out of pocket expense that this plan has. It is call “Part B Excess Charges”. This is where your doctor is allowed to charge up to 15% OVER the Medicare-Approved charges. This does leave you responsible for paying them. Although there is a handful of states that do not allow the doctors there to do so. All of the Medigap insurance plans that I have gone over can travel across state lines, and will cover 80% of Foreign Travel emergencies. So even though you might not be near your doctor you will still have the coverage you need and are paying for. No worrying if you are in your network or not. You’ll have the coverage you deserve! Now because Medigap plans are standardized it won’t matter what company you choose to be insured with. I do recommend Mutual of Omaha but here at 1-800medigap, we are appointed with the top rated companies that provide Medigap supplements so we can compare all the insurance plans available to you in your area. This only takes a few minutes for our agents to do for you. Medicare Supplement plans are the best plans that you can get to help with Medicare-Approved cost, like Coinsurance, Copayments and Deductibles. These types of plans will also cover things that Medicare will not pay for as in going to a Foreign Country. With these plans you have to have Medicare part A&B to be able to get on one of these Medicare Supplement plans. Now you will have a monthly premium with these types of plans, but nothing in this world is free anymore. These plans are standardized, so therefor you do not have to worry about if the insurance company is going to cover your bill(s) or not. Although I recommend Mutual of Omaha it does not matter what insurance company you go with. As long as your doctor accepts Medicare then they have to accept your Medicare Supplement plan. How do these plans work exactly? There are a total of ten Medicare Supplement plans that you can choose from. Three of them I recommend to all of my clients. Starting with the best plan that you can get what we like to call the Plan F, or the Cadillac plan. This plan is going to cover you 100%, you will have no out-of-pocket expenses other than the monthly premium. You will NOT be responsible for copayments, coinsurance, or deductibles, but with the high deductible just pay an annual deductible of about $2180.00 a year. Now on to the second best plan that you can get is the Medicare Supplement Plan G. This plan is barely different than the Plan F. With the Plan G you will have the monthly premium, with no copayments and no coinsurance. But what makes this plan different from plan F is that you will be responsible for the Medicare Part B deductible. Once you have reached that deductible then you will be covered 100% just like the Plan F.
The last plan that I personally recommend to all of my clients is the Plan N. This Medicare Supplement Plan is a little different than the other two. With this plan, on Part A of Medicare you will be 100% covered. But on Part B of Medicare you will still be responsible for the Part B deductible along with what is called a Part B Excess Charge. What that means is if you go to the doctor and you have the Plan N, then in most states by law the doctor can charge up to 15% more of the Medicare-Approved amount. Also, with this Plan N you would have up to a $20 copayment at some office visits along with a $50 copayment if you go to the ER and do NOT get admitted into the hospital. Looking for an Advantage plans with Dental in Florida ? Although i dont think an advantage plan for your Medicare should be your first pick. I know the best kind of secondary insurace for Medicare is a Medigap plan like Plan F from Mutual of Omaha. Having an Advantage plan is better then not having anything at all. Like I said when looking into secondary insurance to cover the 20% Medicare dose not cover I believe a Medigap Supplement is the best for you. They will give you 100% coverage for you hospital and doctors visits. With low deductible if one at all. and they have no maximum out of pocket. They also dont work in a HMO or PPO network. so you can see any doctor or hospital that excepts Medicare. Medicare Advantage plans provide Part A and Part B benefits through private insurance companies have a contract with the federal program. If you have Medicare Advantage, you are still in Medicare, and you will still get all of the same benefits that you would in Original Medicare (except hospice care, which is still covered by Medicare Part A). Some plans offer other benefits not included in Original Medicare, such as health and wellness programs, routine vision and dental benefits, or prescription drug benefits. You will need to continue to pay your Part B premium if you have Medicare Advantage. These plan Work in HMOs and PPOs. So you will have a network of doctors and hospitals you will have to stay in to get your coverage. They also have higher deductibles and large maximum out of pocket. $6,700 for services you receive from in-network providers. our yearly limit in this plan $3,400 for services you receive from in-network providers. When it comes to Medicare there are different costs and Premiums that you should be aware of. As of this year 2016, there has been a few changes to Medicare and their costs. Listed below are basic costs for people with Medicare. Part A premium Most people don’t pay a monthly premium for Part A (sometimes called “premium-free Part A”). If you buy Part A, you’ll pay up to $411 each month. Part B premium Most people pay $104.90 each month. Part B deductible and coinsurance $166 per year. After your deductible is met, you typically pay 20% of the Medicare-approved amount for most doctor services (including most doctor services while you’re a hospital inpatient), outpatient therapy, and durable medical equipment. If you buy Part A, you’ll pay up to $411 each month. You’re eligible to get Social Security or Railroad benefits but haven’t filed for them yet. Get more information about your Part B premium from Social Security. You pay $166 per year for your Part B deductible. After your deductible is met, you typically pay 20% of the Medicare-approved amount for most doctor services (including most doctor services while you’re a hospital inpatient), outpatient therapy, and durable medical equipment.